In order for Transpersonal Psychology to exist side-by-side with Behavioral, Psychoanalytical, and Humanistic Psychology which Maslow referred to as the First, Second, and Third Force (in Grof, 2008), it is imperative that there be corresponding clinically valid research studies that validate its claims. Scientific data collected through clinically valid research which is then published in a peer-reviewed journal is the litmus test by which a hypothesis is measured by the scientific community. Anderson & Braud (2011) document transpersonal research methods and offer, "detailed descriptions of ways in which self and others may be transformed through research" (p. xvi). Transpersonal practices must have a measurable effect on human consciousness and if not then the null hypothesis must be accepted in the context of the specific experiment. Transpersonal Psychologists may feel that using scientific research methods to validate transpersonal practices removes the human factor from the equation and I would respond that nothing could be further from the truth. A transpersonal researcher who is genuinely interested in exploring the validity of a hypothesis has only to devise an appropriate means of collecting data to test it. If anything, transpersonal researchers have a greater challenge in that given the lack of quantitative measures and data, our qualitative interviews must be as unbiased as possible in order to not taint or influence the data which is being provided by our subjects. In short, transpersonal research holds the key to unlocking areas of human consciousness which have heretofore remained hidden from scientific view. 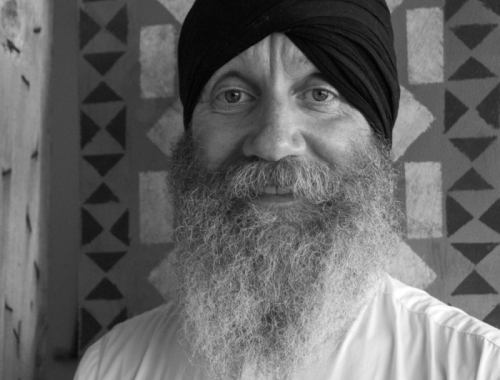 Karambir Singh Khalsa holds a Bachelor of Arts in Music from the University of California (UCLA – 1986) and a Master of Arts in Transpersonal Psychology from Sofia University (formerly the Institute of Transpersonal Psychology – 2015). He has been studying Clinical Mental Health Counseling at Naropa University and will carry forward these teachings as he transitions to Doctoral studies in Clinical Psychology (PsyD) at Sofia University beginning in Fall 2017 (degree planned for June 2020). Karambir will design and conduct research into the mental health effects of gong bath as his dissertation research and currently speaks at conferences and trainings on the link between gong bath and mental health. In addition to his scholarly studies, Karambir holds certificates in hands-on healing and counseling (non-licensed) from the Barbara Brennan School of Healing in Europe (2009, 2011) and is a Peter Hess ® Sound Massage Practitioner and Trainer (2009, 2013).